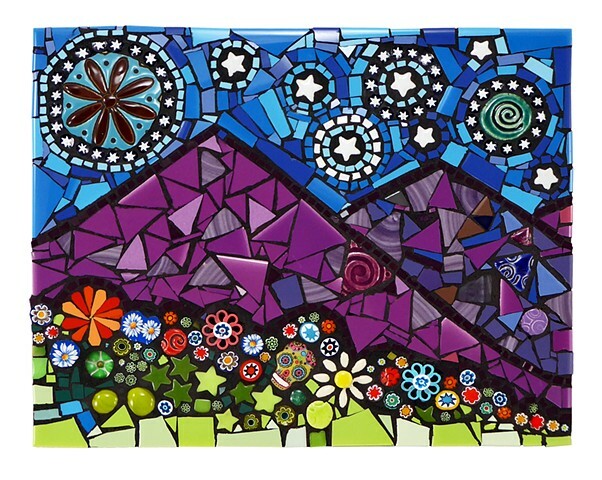 Flair Robinson is a mixed media and mosaic artist working primarily with ceramic tile, hand-cut glass, and recycled materials. She is informally educated, collecting knowledge from the traditional to the unusual, and is most influenced by visionary, self-taught and outsider art. Robinson is a colorist, and is fascinated by the endless combinations of varying hues. She is most interested in colors found in early American folk art, vintage road signs and advertising, particularly those from the 1940’s - 1960’s. Many of the materials that she uses in her work come from these eras. She states, ” I believe that each bit of junk creates a sense of nostalgia in the viewer. The pieces have lived their own lives and have their own energy; they have the power to take us back in time and to bring up memories”. Robinson works intuitively and viscerally. Many of her creative concepts come to her in her dreams.